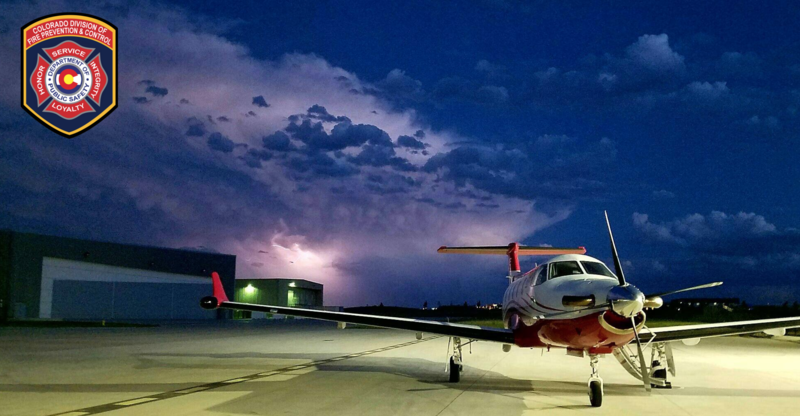 Denver, CO—The Division of Fire Prevention and Control (DFPC) has sent one of its two Multi-Mission Aircraft’s (MMA) to assist with the wildfire situation in Oregon. The second MMA will remain in Colorado and continue supporting fires here. The MMA departed Centennial today and will be based out of Medford, OR. The MMA team consists of two mission sensor operators, a pilot, and a mechanic. The MMA's mission will be to support initial attack and provide intelligence on several large fires in southern Oregon.